Do you wish to track someone's WhatsApp and read all their private conversations? Do not worry because we have got you all covered! We would like to introduce you to a WhatsApp spy hacker that lets you not only sneak into someone's WhatsApp account but also monitor all their WhatsApp activity. WhatsApp has been around for quite some time now, becoming the world's favourite go-to instant messaging app. When hackers noticed WhatsApp growing popularity, they couldn't help but develop different hacking and spying tools to somehow get access to someone's WhatsApp account. These hacking solutions were developed in a view to sneak into someone's WhatsApp and keep an eye on their activity. Though WhatsApp hacking is an unethical practice that should be avoided, many users started taking interest in it. The reason was, they wanted to entertain the idea that helped them monitor someone's WhatsApp account. For example, concerned parents wanted to monitor their children's mobile phones, especially their WhatsApp activity. 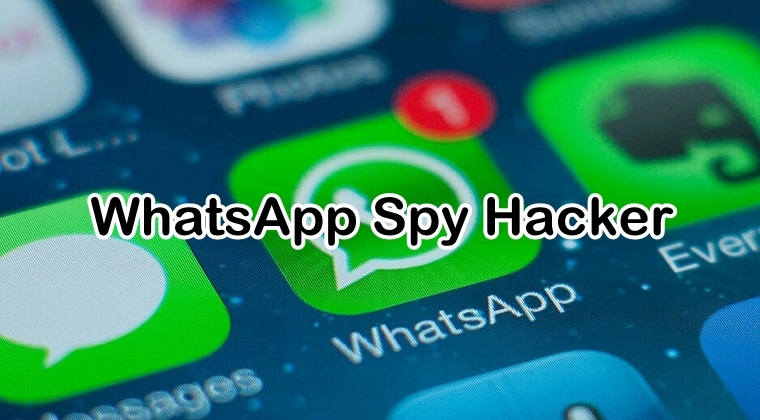 On the other hand, employers were keen on trying out the WhatsApp spy solutions because they wanted to deploy monitoring tools on their employees' devices in order to know whether or not they chat with friends during working hours or share company's confidential information with the third-parties. Apart from parents and employers, the idea of using WhatsApp hack solutions fascinated users who wanted to spy on their partner's WhatsApp activity to ensure they were not being cheated in their relationships. Hence proved why there was a sudden increase in the demand for the WhatsApp spy hackers. WhatsApp Spy Hacker: Effective or Not? Keeping in view users' demands, hackers and developers came out with WhatsApp spy techniques. However, to the user's disappointment, they could not turn out to be productive. Several users complained that the WhatsApp hack tools they came across on the internet could not live up to their expectations as they failed to deliver an effective outcome. Some WhatsApp hack websites asked them to download a third-party program or app to be able to process the WhatsApp hack. On downloading the third-party program, many users found that the apps contained malicious content. The problem with downloading third-party apps and programs is that you never know whether or not they are safe to use or contain malware. These programs and app can destroy your device data by injective a malware or virus into your system. Then there are WhatsApp spy sites that asked users to fill out online surveys to obtain their personal information before processing the result. What these sites do is they get your data by making you fill out the forms and later spam your email inbox with unnecessary information. Apart from that, some WhatsApp hack sites asked users to click on particular links to be able to monitor someone's WhatsApp. On clicking the links, they found out they were being led to different web pages that offered nothing but promotional content. This trick is being used by developers to get maximum website traffic. So it turns out, most WhatsApp spy hackers are wired like that. They are fake and bogus, not offering any effective result. Having said that, let's not get disappointed by thinking all of them are the same. Fortunately, there is a WhatsApp spy hacker that lets you track someone's WhatsApp activity effectively. Mobistealth is considered the best WhatsApp spy hacker because of its advanced surveillance features. This WhatsApp hack tool has the ability to sneak into someone's WhatsApp account and read all their messages. Sure, there are several other monitoring tools available in the market but Mobistealth is one that we can give guarantee for. The tool is being used by hundreds of customers globally for monitoring purposes. Besides monitoring someone's WhatsApp activity, Mobistealth is capable of monitoring the phone calls, text messages, social media sites as well as other instant messengers. It goes on to provide location tracking as well as surround recording. Once downloaded and installed on the target phone, the WhatsApp spy hacker logs all the WhatsApp conversations and transports the logged information to your Mobistealth user account. You can log into the account and remotely monitor the WhatsApp activity from anywhere and at any time. It would be futile to waste your time and efforts on trying the fake WhatsApp spy hackers in the market. Try getting your hands on Mobistealth to experience the best monitoring features.